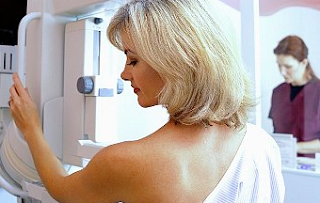 Q: How can hormone therapy help reduce breast cancer growth? Marla Ahlgrimm: Estrogen acts as a fuel for hormone receptor positive breast cancer. So by reducing the amount of estrogen breast cancer cells receive in the early stages, the cells may shrink. It is important to note, however, that hormone therapy is not a viable treatment option against hormone receptor negative tumors. Q: Are hormone replacement therapy and hormone therapy the same thing? Marla Ahlgrimm: No, hormone replacement therapy is not a breast cancer treatment but is taken by women to combat irritation and physical discomfort caused by menopause. HRT is used to elevate estrogen levels and may also contain other hormones including progesterone. The two are very different and affect the body in different ways. Q: Should women with hormone receptor positive breast cancers undergo hysterectomy? Marla Ahlgrimm: Not necessarily, however, removing the fallopian tubes and/or ovaries may be used as part of a breast cancer treatment program or as a preventative measure for women deemed to be high risk of breast cancer. Certain breast cancer patients may be treated with medications which temporarily shut down the ovaries’ ability to produce estrogen. Other treatment options for breast cancer include radiation therapy, hormone-based chemotherapy, chemotherapy, and mammoplasty (breast reconstruction surgery).